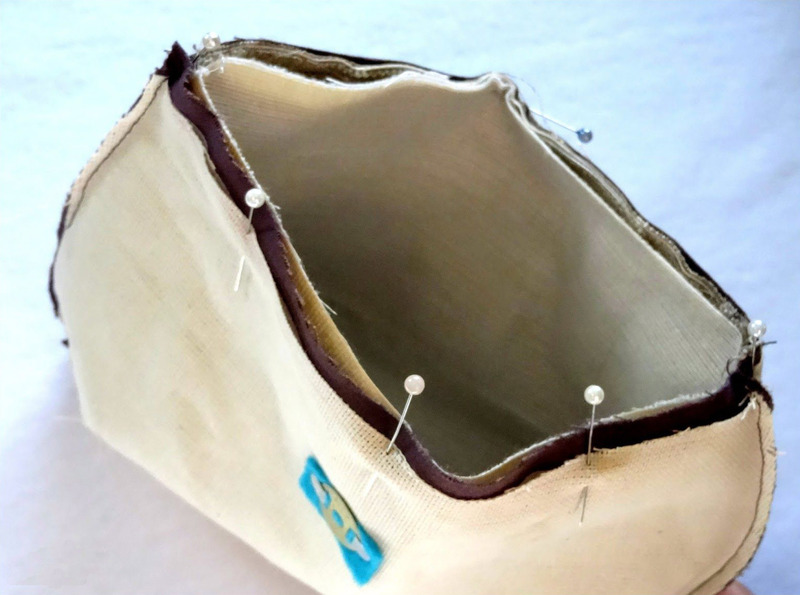 How to Sew a Makeup Bag ~ DIY Tutorial Ideas! 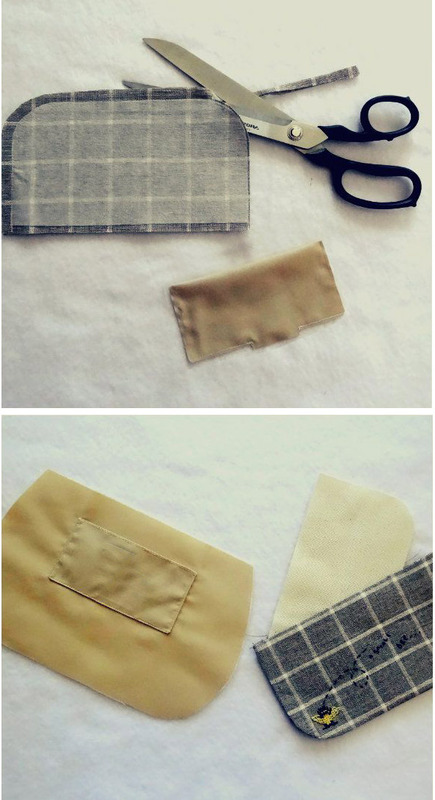 We will need: fabric, lining (cotton, calico), interlining, adhesive fabric, two-thread fabric, magnetic clasp, 2 pieces of felt. 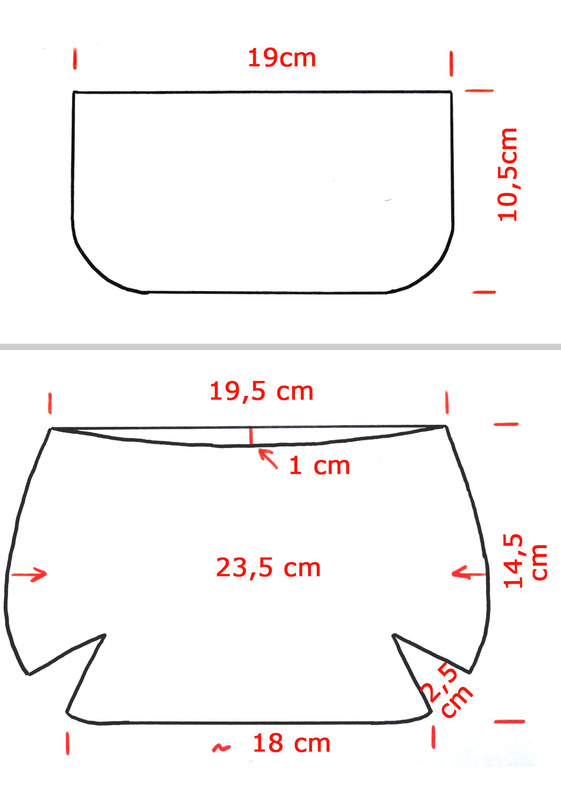 Cut out from the main fabric: 2 valve parts, 2 cosmetic items (pay attention to the pattern: the front part at the top has a recess of 1 cm). 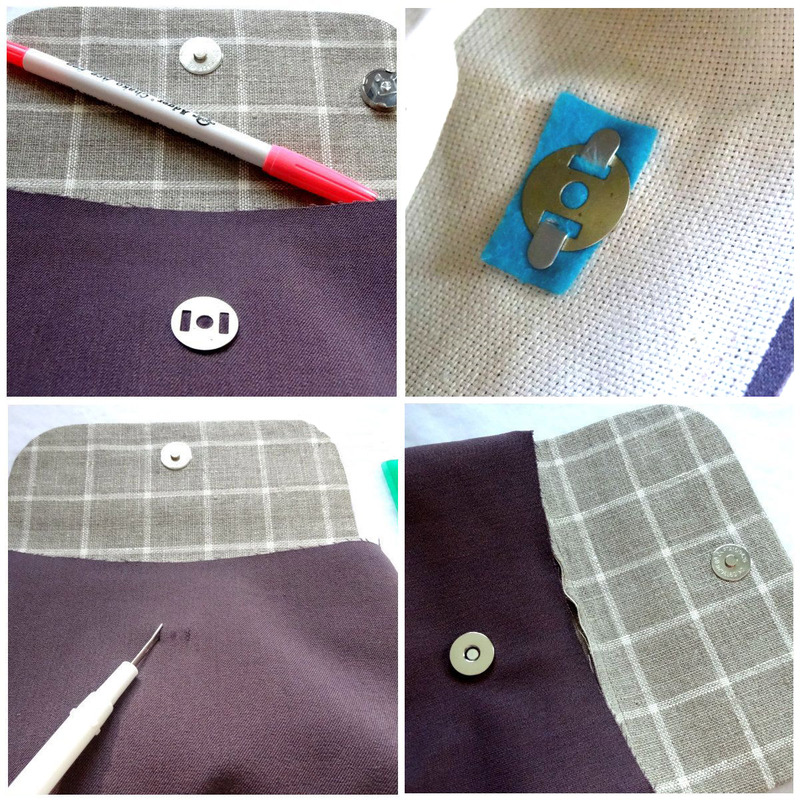 Cut out from the lining fabric: 2 cosmetic items and a square of 14x14 cm for the pocket; from fabric of a two-thread: 1 details of the valve and 2 details of a cosmetics bag. 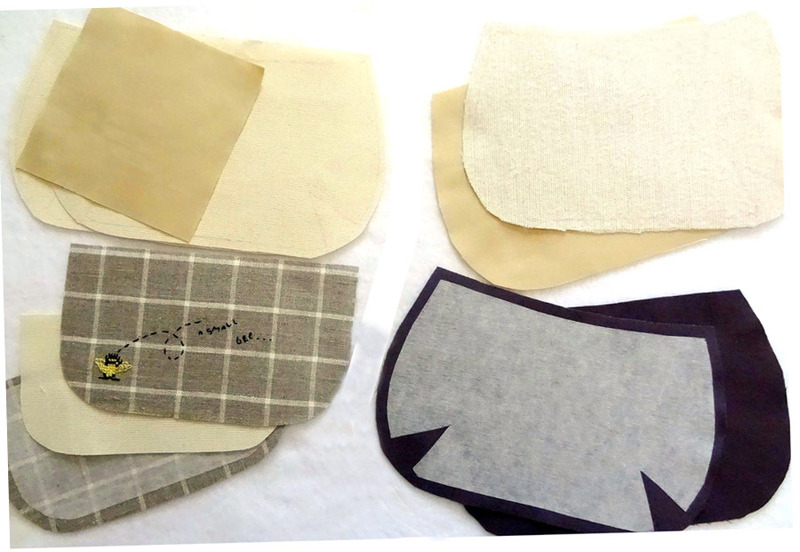 Strengthen all parts of the main fabric with interfacing, and strengthen the lining with an ordinary adhesive fabric. 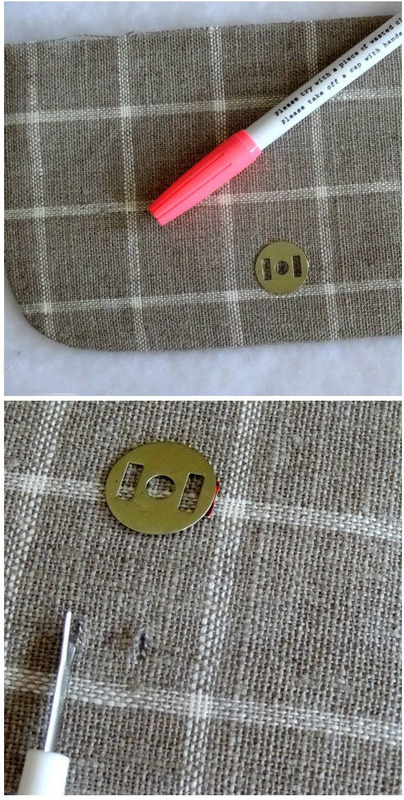 We sew both parts of the valve (line pitch 2-2.5), cut the seam allowance to 0.2 cm, turn it over, iron and put a two-thread fabric detail inside. 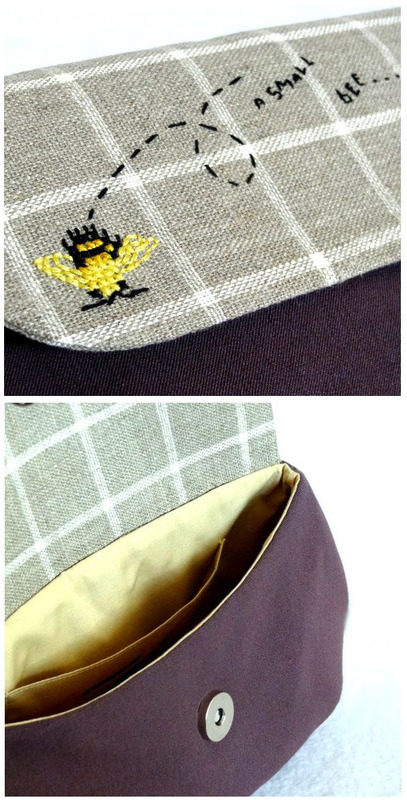 We fold the pocket in two, sew around the perimeter, leaving space at the bottom of the pocket for eversion. 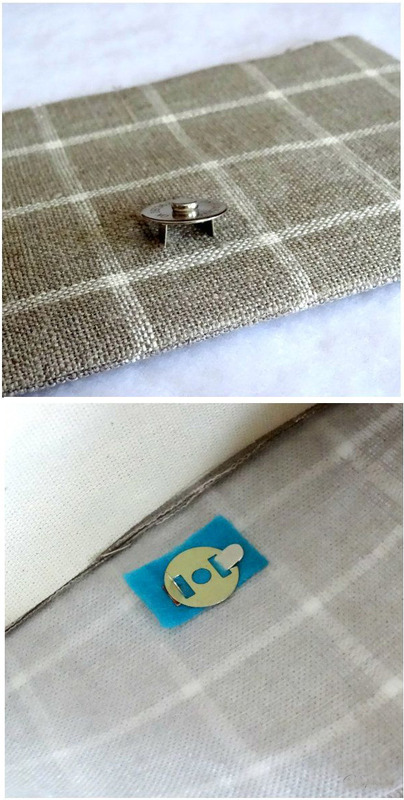 Unscrew and iron out the upper part, attach it to the back part of the lining. 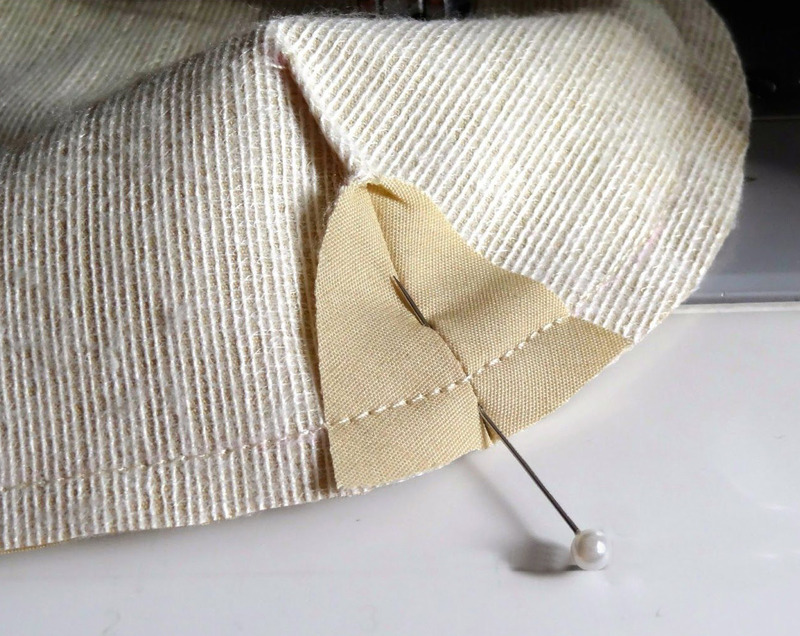 The parts from the fabric of the double-thread are put on the parts from the main fabric and sewed tuck on both parts with one stitch, make an incision in the middle of the tuck and iron out. Make tuck and lining. Insert a piece of magnetic clasp into the inner part of the valve. 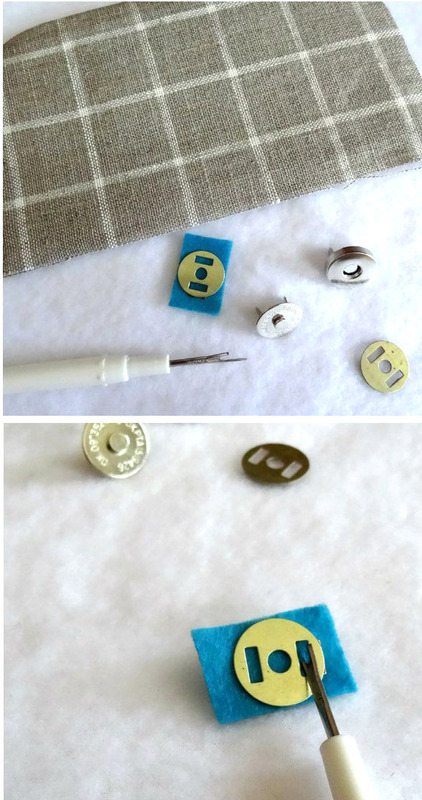 On the front side, insert a fastener, on the inside, a piece of felt, insert the washer and unbend the plates in different directions. 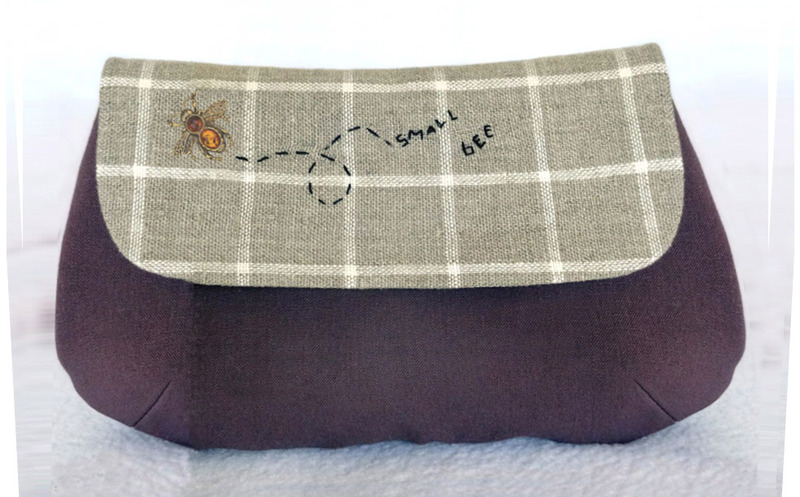 Stitch together the details of the cosmetic bag, aligning the seams of the tucks. Same with lining details, leaving about 10 cm for reversing not sewn up. Cut the allowances to 0.2-0.3 cm. 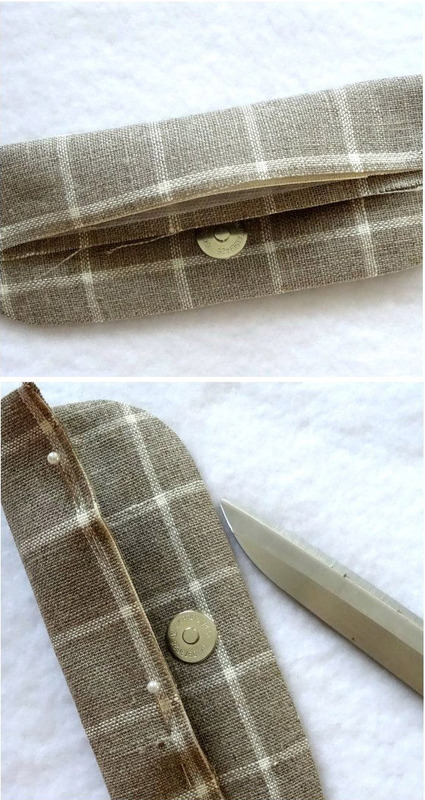 In order for the valve to look beautiful on the cosmetic bag and not bristling, it is necessary to fold it in half, as in the photo, stab the excess and cut it off. 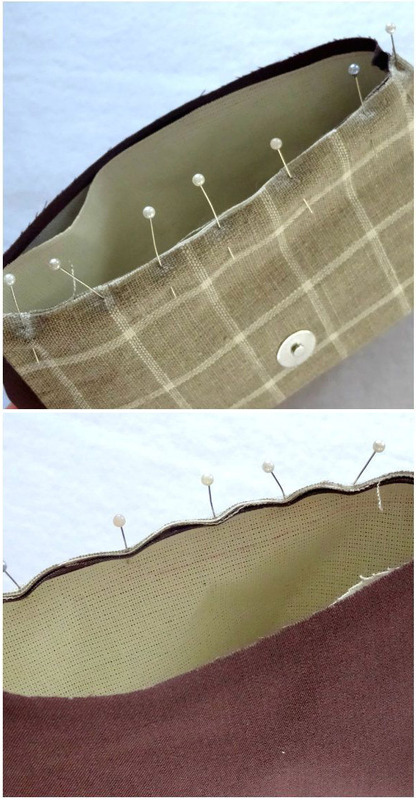 Pin the flap to the back wall of the cosmetic bag and lay the stitch. 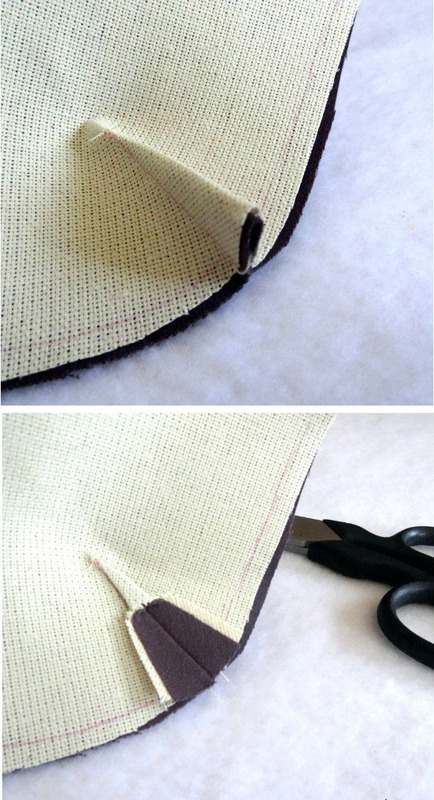 Sew the lining with a cosmetic bag and turn it out through a non-sewn hole in the lining. Iron off the top edge.